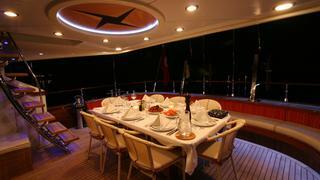 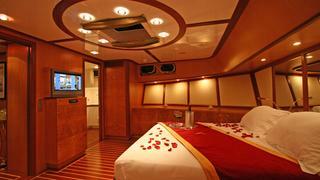 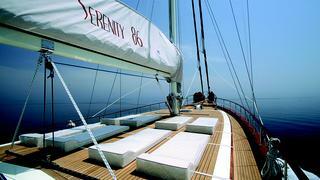 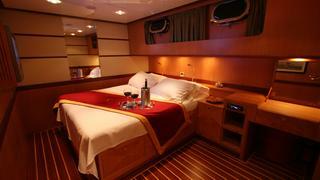 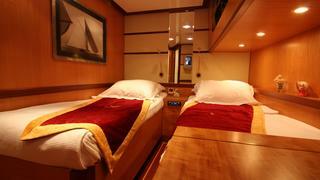 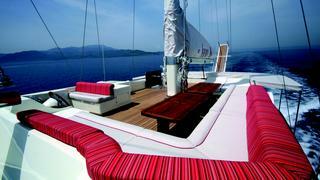 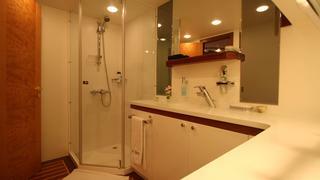 Serenity 86 is a luxury motor sailor designed and constructed to provide the ultimate comfort and safety. 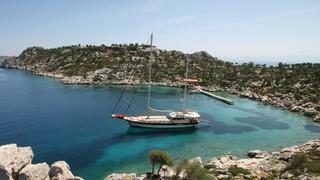 This yacht blends the traditional beauty of a Turkish gulet with contemporary design for a bright and airy interior that holds a distinctly luxurious atmosphere. 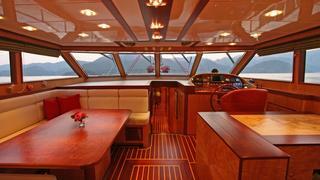 Serenity 86 is unique in that she is one of the few gulets to boast a flybridge. 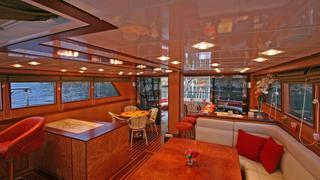 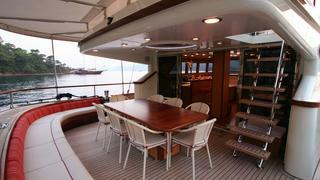 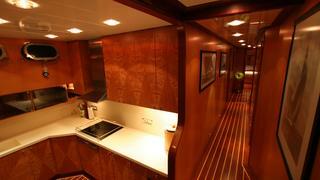 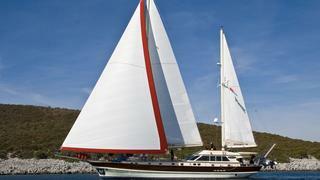 Her high volume traditional gulet hull provides an abundance of internal living space as well. 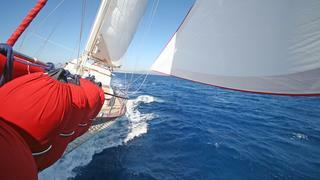 Uncommon to most gulets is her entry angle which is quite sharp allowing her to slice through the water and waves giving her a comfortable ride even in bad weather conditions. 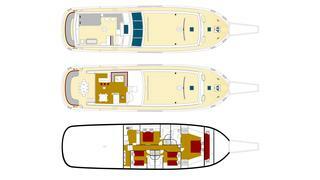 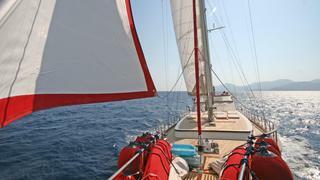 The flare in the bow works to push the water away from the yacht and provide a very dry voyage.